DISTRICT OF COLUMBIA — Sen. Orrin Hatch addressed a group of conservative high school activists Thursday at Turning Point USA’s High School Leadership Summit in Washington, D.C. – a four day conference for conservative high school students. Hatch spoke at the invitation of Kyle Kashuv, one of the survivors of the Marjory Stoneman Douglas High School Shooting. Kashuv worked with Hatch to pass the STOP School Violence Act in March. Kashuv and Hatch connected on Twitter, he said, and Kashuv showed up to his office the next day asking how he could help. He then spent weeks with Hatch meeting with lawmakers and others to explain the the STOP School Violence Act. When Kyle, the Pettys and so many others got involved in the fight for the STOP School Violence Act, they expressed a desire to stop violence in schools. They wrote letters, they engaged on Twitter and they even did media interviews to talk about why this was the right step to take after the shooting in Parkland. They sat down and talked substance; they didn’t try to provoke or attack those who took different approaches. Provocation for provocation’s sake will never win you any converts. To say it another way, if you are owning the libs just to own the libs, your victory will be short-lived and your audience will remain small. I agree with what Nikki Haley said earlier this week on this very stage: Real leadership isn’t just about owning libs, it’s about persuasion. While you may get attention for stunts, you won’t necessarily inspire others to join your cause. Hatch encouraged those in attendance to work toward bringing people together, citing recent meetings involving Kashuv and members of both the Republican and Democratic parties as well as bipartisan efforts to pass the Religious Freedom Restoration Act. Besides discussing his partnership with Kashuv and his bill, Hatch was at the Turning Point USA’s High School Leadership Summit to encourage students to support President Donald Trump’s Supreme Court nominee Brett Kavanaugh, who is currently the circuit judge for the U.S. Court of Appeals for the District of Columbia. Thank you for that introduction. I was honored to accept Kyle’s invitation to speak to you today. I believe you are familiar with Kyle by now? You might be wondering why I’m here to speak to this group of young activists. I should tell you that I had my own activism streak in my youth. I’m not sure if you’ve heard of the Boston Tea Party, but it was a real gamechanger. You can’t be that old, you’ll say. But you’d be surprised. I know you’d never guess but behind this spry, youthful exterior, I’ve actually got quite a few years on all of you. I attribute that to vitamins, drinking lots of milk, and several decades serving as the Senate’s designated driver. Funny enough, earlier this week the internet declared me dead. Someone had humorously edited my Wikipedia page to suggest that I had passed away last September. That change was made on my bio in Google. You can imagine my alarm when a constituent called to ask if I had really died. It didn’t make a lot of sense because in the short time I was dead on the internet, I passed four major bills. My staff had fun with that, noting that even in death, Orrin Hatch was moving more legislation than anyone in Congress. Needless to say, I’m grateful to be alive and with you today. On a more serious note, as a Senator with quite a few laws under my belt, I have seen effective activism up close and personal. I’ve seen campaigns that have moved my colleagues and I to action, and I want to talk to you about that today. One of the most effective examples of activism I’ve seen in recent years came as we were working to build support for the STOP School Violence Act earlier this year. You’ve already heard a bit about that earlier this week. After the horrific shooting in Parkland, young people took the microphone and were given the opportunity to plead with lawmakers for a solution. While many of his classmates quickly turned their focus to gun control, Kyle saw an opportunity to focus on solutions that directly addressed what he had seen go wrong at Marjory Stoneman Douglas High School. I had been working with a bipartisan group of Senators on a bill called the Stop School Violence Act, which would empower schools to invest in advanced safety technology and infrastructure, but also advanced training for teachers, administrators, and law enforcement to stop incidents like this before they happen. It would give states and school districts the flexibility to develop school safety programs that fit their needs, whether those needs be metal detectors and stronger doors, or simply better coordination between school administrators and mental health professionals. Kyle and I connected on Twitter and he was in my office the very next day, asking about the bill and what he could do to help. He spent the next few weeks meeting with every lawmaker and government official he could, making the case for the STOP School Violence Act. He met with Republicans and Democrats, Senators, Representatives, cabinet secretaries, media personalities, and more, and explained how this bill would help prevent future shootings like the one he had just experienced. In TV interviews and social media posts, he focused on informing and bringing people together. Kyle was joined in his efforts by a number of other Parkland families who had just led successful efforts to pass new safety laws in Florida, including Ryan and Kelly Petty, who signed a letter to Congressional leaders urging passage of the STOP School Violence Act. Kyle, Ryan, and Patrick Petty joined me on Capitol Hill for a press conference soon after to talk about how important this bill was. The Petty’s story about losing their sister Alaina moved my colleagues to action, and it was their voices that helped get this bill across the finish line. I’ve seen the lawmaking process from start to finish more than most, and I can tell you firsthand that this was some of the most effective activism I have ever seen. And those I worked with have become valuable friends. I know Ryan Petty was unable to make it to the conference, but if I could have Patrick Petty and Kyle come to the stage, I’d love to give them something to thank them for their efforts. First, focus your activism on substance. When Kyle, the Pettys, and so many others got involved in the fight for the STOP School Violence Act, they expressed a desire to stop violence in schools. They wrote letters, they engaged on Twitter, and they even did media interviews to talk about why this was the right step to take after the shooting in Parkland. They sat down and talked substance; they didn’t try to provoke or attack those who took different approaches. Provocation for provocation’s sake will never win you any converts. To say it another way, if you are owning the libs just to own the libs, your victory will be short-lived and your audience will remain small. I agree with what Nikki Haley said earlier this week on this very stage: real leadership isn’t just about owning libs; it’s about persuasion. While you may get attention for stunts, you won’t necessarily inspire others to join your cause. Aim higher, focus on a strategic outcome, and make your case, leading with your ideas. And you’ll find you still have opportunities to own the libs. But you’ll do so with substance, not just pats on the back from those who already agree with you. On campuses across America, defend your ideas, but recognize that movements need converts. Second, seek opportunities to bring people together. In one week, Kyle met with Nancy Pelosi and Ted Cruz. The Pettys joined us for a press conference with both Republicans and Democrats. We found the issues that united us instead of dividing us, and we had a substantial victory that will save lives and change the world. When you can find opportunities to focus on common goals, the victories are much more sweet. When I passed the Religious Freedom Restoration Act, one of the most important bills we have passed in the last 40 years, the victory was not just in the bill, but in the fact that liberals like Chuck Schumer, Ted Kennedy, and Bill Clinton were making a case to Democrats that religious liberty was a fundamental right in this country that should not be infringed. And third, study like hell, so that when you debate and fight for your principles, you’re able to do so with the confidence that your ideas are better than theirs. If you don’t have that confidence, put your sign down, save your tweets in drafts, and crack open a book. Be on guard for bad information or fake news. And recognize that it can come from our side too. The greatest thing you can bring into a debate is knowledge, both of your side and the other side’s arguments. Listen, research, and earn the confidence to be a strong representative of the very best ideas. You have great examples of young conservatives who lead with knowledge. You had Guy Benson on stage earlier this week. Guy reads and studies everything he can about a subject before sitting down to talk or write. When Ben Shapiro speaks on college campuses, people come away impressed not just with how fast he talks, but with how well he understands the issues he’s discussing. Find smart people to follow who don’t just engage in lib-ownership, but lead with knowledge, focused on substance. We need you. We need your voices. We need you speaking out on college campuses, not just to defend conservative values, but to convert more conservatives. We have a President who has a lot of good ideas. One of his best yet has been to focus on nominating judges who will uphold the Constitution as written, not try and remake it based on what social issues are trending that day on Twitter. Judge Brett Kavanaugh was the perfect choice for our time. I know him well, I know him to be qualified, I know him to be intelligent, and I know him to be a firm protector of the Constitution. But we need your help. Read his opinions. Familiarize yourself with his philosophy. Then join us in the trenches. While reactionaries suggest it’s time to change fundamental rights found in the First and Second Amendments, Judge Kavanaugh believes the Constitution—and the ideas our nation was founded on—are worth protecting. And for that, the Left will do their best to tear him down. They’ll malign him and his wonderful family. They’ll attack him for buying baseball tickets and eating pasta with ketchup, but they’ll also call him a monster. Hundreds from his alma mater recently signed a letter suggesting that if he’s confirmed, people will die. A Democrat Senator this week said those who support him are “complicit in evil.” Can you believe that? And we are still at the early stages of this process. The fight for Judge Kavanaugh’s confirmation is about more than just him. It’s about our ideas and everything we stand for. Losing a fight like this means the party of substance-free theatrics wins. For decades to come, you’ll remember this fight. You’ll remember where you were and what you did to ensure the best judges were confirmed. You are a great group. Just by being here, you’ve already shown yourselves to be smart and courageous. And we’re going to need you to help us in the fight to preserve the America we know and love. Thank you, and may God bless you all. 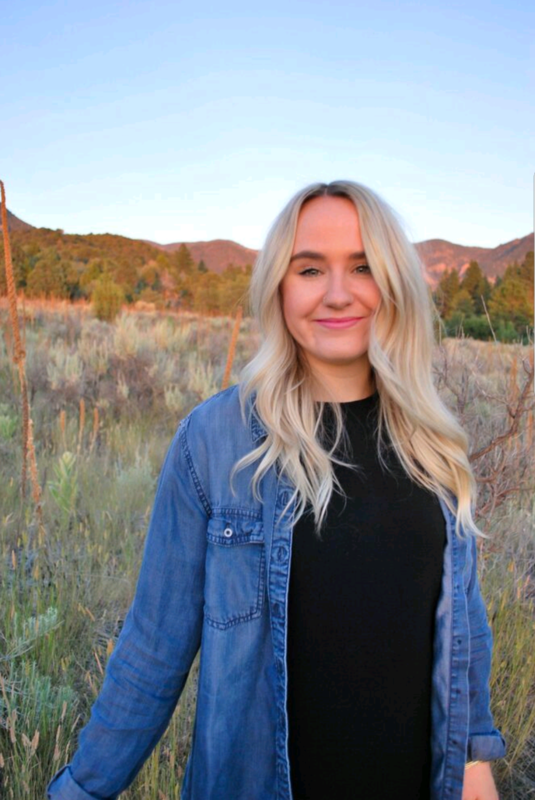 Markee Heckenliable has lived in St. George for 10 years and graduated from Dixie State University in 2018 with her bachelor's degree in mass communication. She's the former editor in chief of the Dixie Sun News, Dixie State's student-run news organization. She also served as features and news editor in the past. Markee is an avid coffee drinker and loves to spend time with her dogs more than her human friends. I don’t understand constitutional originalists. Why do we think that people in the late 1700s were embued with the totality of collective human wisdom? Keep in mind that the men that wrote the Constitution – and pushed for the inclusion of a Bill of Rights – had just finished fighting and killing for their freedom. They wrote it with that bloodshed fresh in their minds, and knowing that many of the fellows did not survive to see the fruition of that conflict. They wanted to prevent, for as long as possible, the need for their posterity to go through the same things. They saw firsthand what things would cause men, as the Declaration of Independence states, “to throw off such Government, and to provide new Guards for their future security”. If the St. George News will permit, I’d like to quote a more substantial portion of the Declaration of Independence, that, when taken in context, gives some valuable insight into WHY they wrote the Constitution as they did, and why we should not violate it. It might also be wise to consider the nature of the action that resulted in the first shot of the active portion of the Revolutionary War – the “last straw” so to speak.